The BG English Horn and Oboe Leather Strap is a durable leather strap designed for use with English horns and oboes. The strap is also elasticated for added maneuverability, allowing for freedom of movement while playing. The neck strap also features a thick cotton pad for absorbing perspiration and adding comfort. 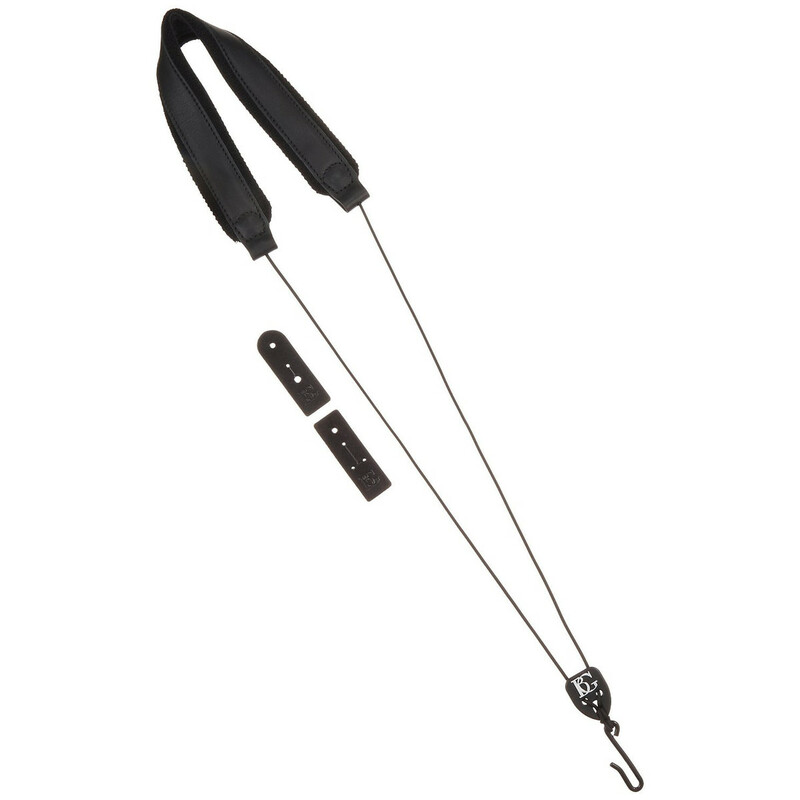 The black metal hook attaches to your chosen instrument to provide stability when playing for extended periods of time. With its comfortable and durable design, the BG Leather Strap is ideal for beginners and intermediate players alike.